Inkjet print with UV ink on press paper. 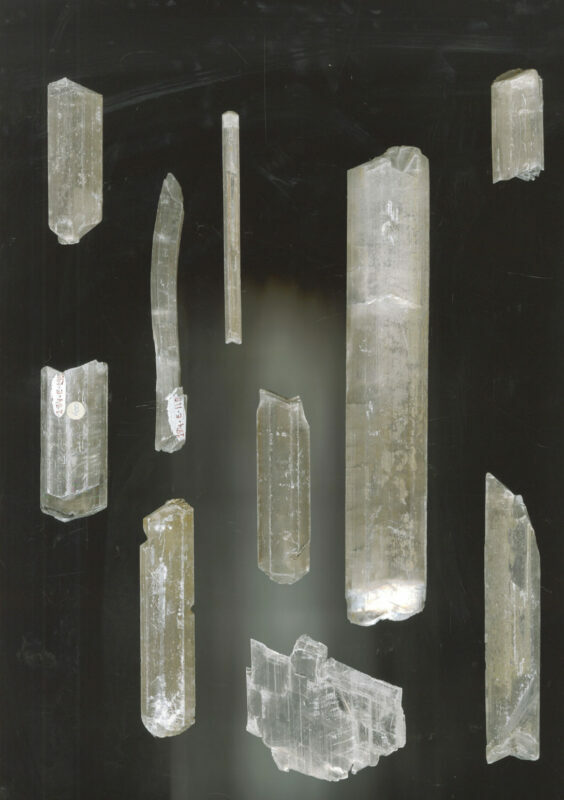 The image is the result of different minerals subjected to the light of a scanner. The technique reminds us to the origins of experimental and scientific photography without camera. Anna Atkins worked with blueprint capturing botanical samples, Moholy-Nagy and Man Ray used it putting objects on an emulsified surface and exposing it to light. Volume becomes flat and stones appear cut out, floating over a shading background, generated from a light projected on the ceiling. 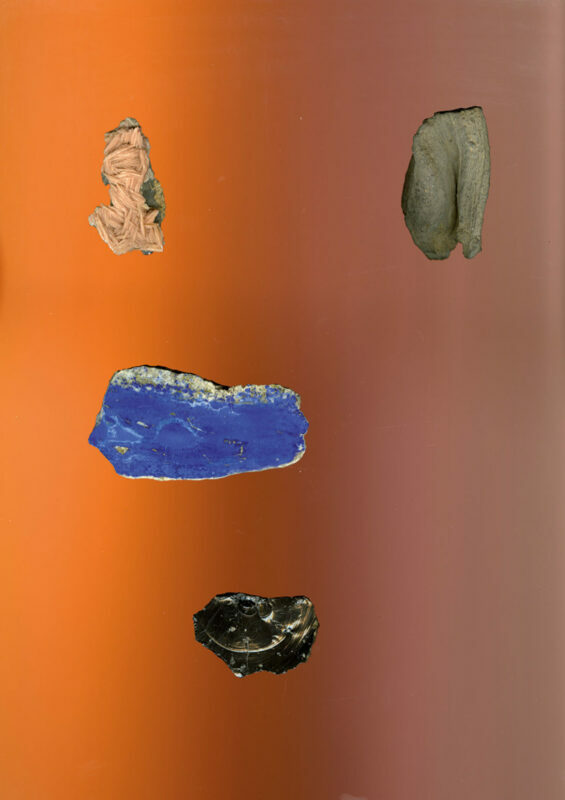 The relation figure-background refers to a certain image typology present on ethnographic catalogues of mineralogy, jewels and advertising photography. Far from classifying or cataloguing, the elements activate themselves on a mechanical poetry of the display. The compositions depart from an affective gesture of a face situated outside of a body. They put into question human imaginary creating correspondences beyond the mineral world. June Crespo (Pamplona, 1982) lives and works between Amsterdam and Bilbao. Among her recent group shows are: “Cosa y tú”, Carreras Múgica, Bilbao; “Amatista”, Sala Rekalde, Bilbao and “Reverse” programme Have A Window, Turin (2014). Group shows in 2014: Wild Things, The Green Parrot, Barcelona; Eremuak. First Thought Best / Asmo Lehena Onena. Artium. Vitoria-Gasteiz; Retroalimentación 2014. Sala de Arte Joven, Madrid; Pareidolia, Galería Bacelos, Madrid and Hitting it o en P-exclamation, curated by Rivet in New York. She did a residence in IASPIS, Stockholm, during 2014 and she is currently part of De Ateliers Programme in Amsterdam.